A child was ejected from his vehicle in a March 2013 car accident and flown by helicopter to a hospital in West Palm Beach. He died from his injuries soon after arriving at the hospital. The air ambulance billed $27,975 for its services. The child’s father had car insurance through State Farm Mutual Automobile Insurance Co. and health insurance through Aetna Life Insurance Co. Each company covered a portion of the ambulance expenses, but $17,400 went unpaid. State Farm based its payment amount on a fee schedule established under the state’s car insurance law. But the air ambulance is considered an air carrier under federal law, and states aren’t allowed to restrict prices charged by air carriers, according to a recent lawsuit. Let’s break the story down a little further. Florida is a no-fault state, and state law requires car insurance companies to provide coverage for car accidents. This includes medical bills, lost wages, and other related expenses. The minimum coverage required is $10,000, but you can of course purchase a more comprehensive policy. This system is called Personal Injury Protection, or PIP. 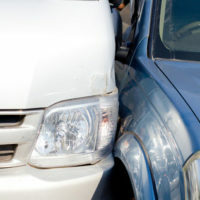 It’s designed to reduce personal injury litigation and exempts negligent drivers from legal responsibility to the extent that damages are covered by the injured person’s insurance. The injured person can only sue if the insurance doesn’t pay for all of the damages. There were several conflicting laws in this case. First, there’s PIP, which requires balance billing. Then there’s a state law that requires emergency ambulance providers to transport people who need immediate medical attention. In turn, the law guarantees ambulance providers a reasonable fee for their services. Finally, there’s the federal law preventing states from regulating how much air carriers are paid. The court said that the air ambulance fee was reasonable, and that, under state law, the fee couldn’t be reduced to the amount set in the fee schedule. But because state laws can’t conflict with federal law, the deciding factor in this case is that the air ambulance is considered an air carrier under federal law, and Florida is not allowed to restrict its prices. Fee disputes like this one can be complicated, which is why you should talk to an experienced attorney about your legal options. Contact an Orlando personal injury attorney at The Pendas Law Firm today for a free consultation if you are injured in a car accident. We can help you with any insurance claim disputes and pursue litigation if insurance doesn’t cover all of your expenses. The Pendas Law Firm also represents clients in the Fort Lauderdale, Jacksonville, Miami, Fort Myers, Tampa, West Palm Beach, Daytona Beach and Bradenton areas.